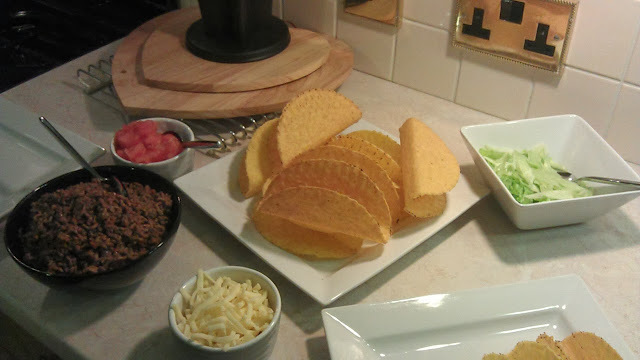 I tried the old elpaso taco kit tonight from Tesco (on offer for only £2.00). It was absolutely delicious. So in the pack, you get taco seasoning, taco shells and some salsa. It tells you to add 500 grams of beef. You pop this into an oiled pan and cook until browned. Once this is done, you add the seasoning with 100ml of water and simmer for 10 mins. Place the taco shells in an oven for 3 mins to heat up, then serve with cheese, salsa, lettuce and tomato. Will definitely be purchasing again!